Happy Easter, ladies! We’re so eggcited (yay Easter puns!) 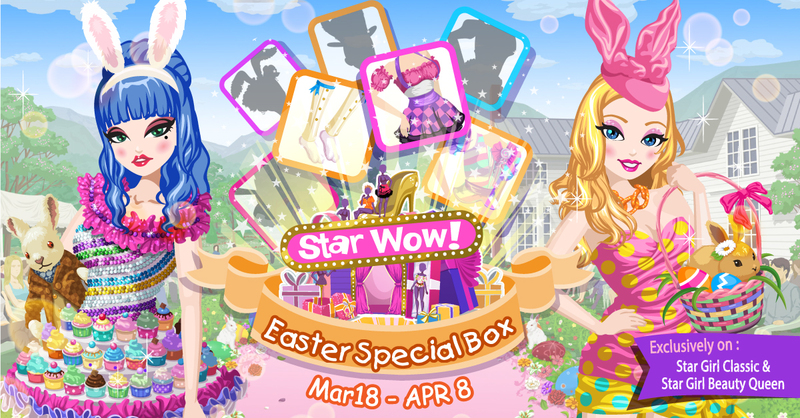 for you to get our new and utterly adorable Easter items on Star Wow! It’s more fun and more color for your closet this season and it all begins on March 18. But don’t dilly, and definitely don’t dally, as this promo will also end by April 8. Celebrate the season with an upgrade on your fashion on Star Girl Classic and Star Girl Beauty Queen!